Last year I became obsessed with pumpkin and apple butters. If you follow the blog, you may have noticed my main theme of the year is fermenting any and everything. I wanted to take my beloved butters and add additional health benefits in the form of probiotics. Check out the “Fabulous Ferments” section on the recipe page if you need some inspiration and to check out my other happy belly recipes. 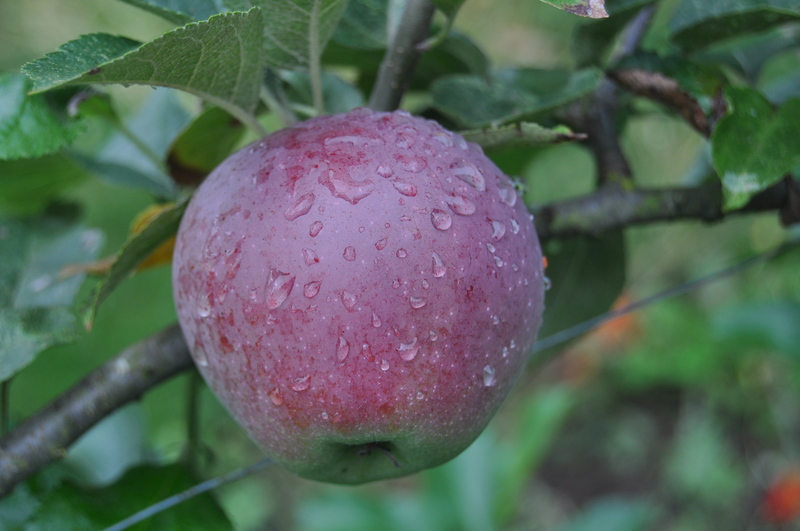 You can make this recipe with either pumpkin, apples, or my favourite; a combination of both. The pumpkins are interchangeable with any type of squash. 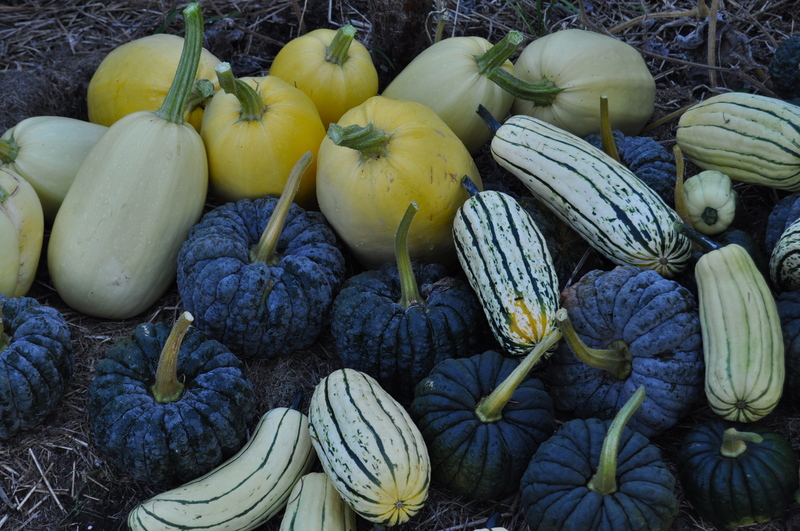 I often use acorn, delicata, or any orange fleshed squash and it works beautifully. You can roast the apples or pumpkin before smothering in honey, if you prefer. Use what you have and/or is available organically to you. Flavoured with rich, warming spices this is perfect fall food. Use these stirred into oatmeal, over ice-creams or blend and spread over toast or strain and use the fruit as the filling for an incredible apple or pumpkin pie. The measurements for this are up to you. Make as large or small batch as you need. pumpkin in your container of choice. 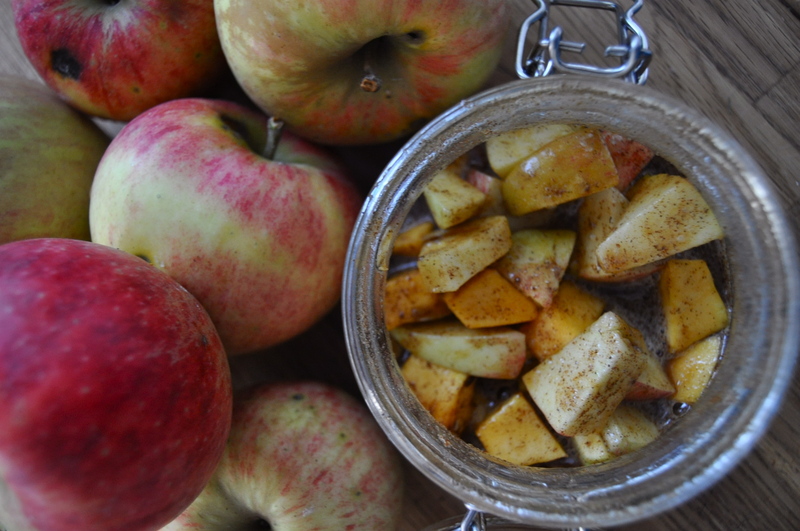 Add honey to the jar to cover the apples/pumpkins. They need to be covered, but not fully submerged. This entry was posted in canning/preserves, dessert, raw, snack, vegetarian and tagged apple butter, cultured, dairy free, easy, fermented, gluten free, probiotics, pumpkin butter, raw. Bookmark the permalink.